In the lead-up to Sunday’s match, there was much talk of the dramatic Chelsea win over Liverpool at Anfield five years ago. The Steven Gerrard slip match. The Iago Aspas corner match. The Jose Mourinho snark match. Take your pick. That match which destroyed Liverpool’s hopes of winning the league title after 25 barren years keeps a tight grasp on public memory. It is the game Liverpool fans are not supposed to forget. 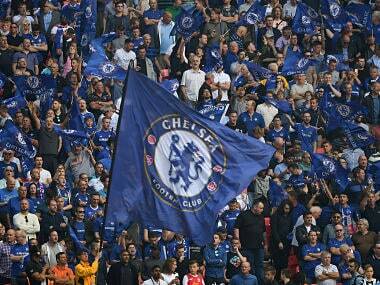 It is the match Chelsea fans and those who take exception to Reds Exceptionalism will never forget. Such was the meaning attached to that encounter that the 30th anniversary of the Hillsborough tragedy was relegated to an afterthought in the news cycle this week. On Sunday, only Mohamed Salah and Cesar Azpilicueta remained from the teams that started five years ago. And Salah now wears the red of Liverpool while Chelsea fans engage in disgusting racist abuse directed at him. If the Blues had come looking for another slip at Anfield this time around, they got one. Long after Liverpool had assured three points, Andy Robertson slipped to give the ball away. But toothless Chelsea could only waste that opportunity. Robertson’s slip only led to a mocking reminder of the gap that exists between the two clubs. In the fateful match of 2014, Jordan Henderson was suspended. But on Sunday, he did not have to watch the contest unfold from the stands. Revelling in the advanced role that has been assigned to him recently, the English midfielder was responsible for Liverpool’s first goal as his cross found the free Sadio Mane. The Senegalese forward headed in his 18th league goal of the campaign. At the moment, Mane is unbound. Unstoppable. 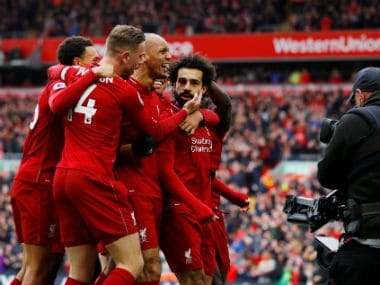 Mane’s fruitful campaign is the story of Liverpool’s domestic resurgence this season; a revival of the club, as manager Jurgen Klopp discussed ahead of the game against Chelsea, following the disappointing defeat in the Champions League final last season – another match in which Mane had scored. Henderson believes this title race is different for Liverpool on account of the side’s defensive stability—in comparison to Brendan Rodgers’ occasionally soft squad in 2013-14—and another clean sheet at Anfield must instil belief among the club’s fans that the story may end differently too. The full-backs Robertson and Trent Alexander Arnold (a ball boy for the famed tie versus Chelsea half a decade ago) were once again forceful on Sunday, while Virgil van Dijk radiated his characteristic equanimity. However, Chelsea’s threat on the counter was not insignificant. 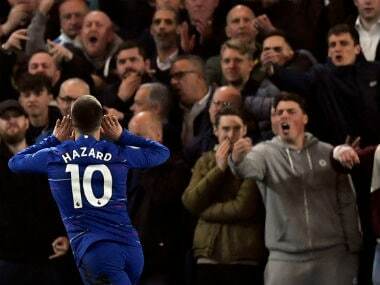 Eden Hazard had already scored at Anfield this season, in the Carabao Cup, and he had two great opportunities to add to that tally in the latest league encounter. Although those chances arrived with Liverpool already two goals up but Chelsea could have raised the temperature among the home fans if one of the strikers had gone in. In fact, a more serious blow could have been delivered to the Reds had Maurizio Sarri stuck to his more conventional plan. With the Blues adamant on sitting back and picking Liverpool off on the counter, Hazard’s position as a false nine forward mitigated the visiting side’s threat. If Gonzalo Higuain or Olivier Giroud had started, Hazard and Willian could have found a finisher in the Liverpool box. It is worth remembering that the Brazilian had scored the second goal in the 2-0 win five years ago after a break allowed Fernando Torres to set him up for an easy finish. But on Sunday, Callum Hudson-Odoi and Willian were left spraying hopeful balls on the counter. Once Higuain arrived belatedly in the second half, Hazard immediately found gilt-edged chances at his mercy. 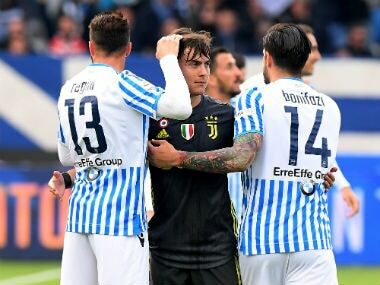 But by then, Sarri’s plans had gone awry. Liverpool’s control was legion. A goalless first half may have given rise to feelings of doubts within the Reds camp but Mane and Salah’s goals quickly put everyone at ease. It was the latter’s strike that will be discussed for a while, maybe even as long as Gerrard’s slip if Liverpool goes on to win the title. Salah’s long-range worldie was the kind of goal we see less from him, making it even more special when you consider the occasion. In 2014, the Egyptian forward was a gaunt, young man who only dropped hints of his future afro and beard. But now, Salah is the barometer of Liverpool’s temper. His recent goal drought had suggested a man weighed down by the vagaries of a relentless title race. Well, he is humming his tunes again. Once the second half began, Chelsea was boxed into its own half. 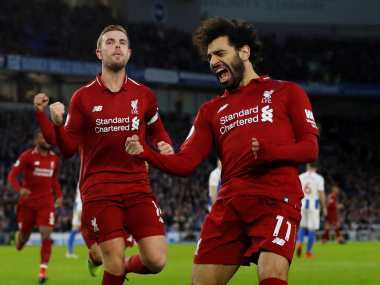 If Liverpool’s first goal was an act of persuasion in the face of a negotiator playing hardball, the second by Salah was a knockout punch to close the argument once and for all. Buoyed by the cracks that had suddenly appeared in Chelsea’s defence, the forward cut inside from the left to send a spear-like shot into the top corner. It was unleashed with ferocity from over 20 yards and the Blues were torn apart.